How Far is Arunas Urban Castle? 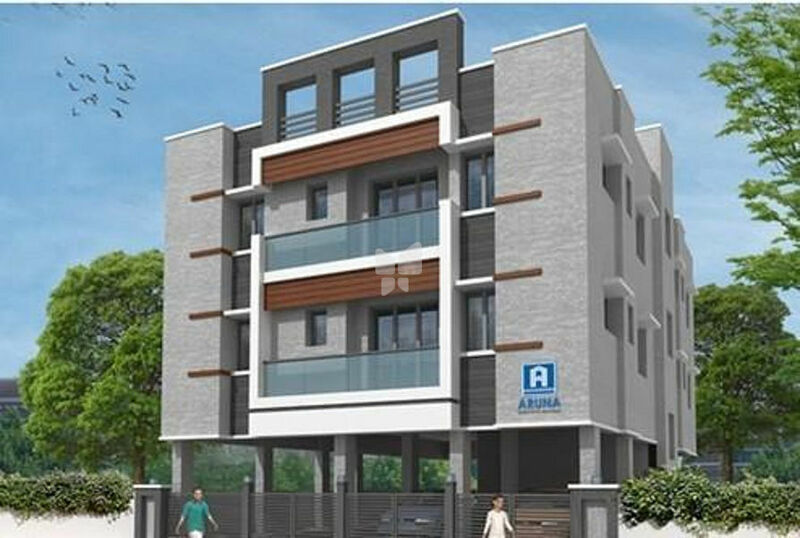 Arunas Urban Castle is one of the popular residential developments in Mogappair East, neighborhood of Chennai. It is among the upcoming projects of Aruna Developers. It has lavish yet thoughtfully designed residences. RCC Framed Structure with isolated footings based on Architectural / Structural design to suit G 2 Floors. Anti - Termite Treatment will be followed at the Foundation and woodwork stage. Outer wall 9" and Inner wall 4 ½ " thick with quality Brick work or equivalent. Internal side will be nice finish and external will be normal finish. 2 coats of emulsion with patti & smooth finish inside flat and 2 coats of pleasing colour for external and suitable for elevation design. DoorTeak wood frame and shutter with varnish finish and standard fitting and locks. Openable windows fitted with country wood. Glazed shutters and grills. Granite platform with stainless steel sink and 2 water taps (drinking and washing). Glazed ceramic tiles clad upto 4 ft. Height above kitchen platform. All Master Bed Room Floor mounted EWC with Flush Tank, all common bath room with Indian Type EWC. Glazed Ceramic Tiles clad upto 7 feet height and hot and cold mixer with shower and Towel Rod. 3 Phase EB Connection with Circuit Breaker Concealed Copper wiring conducts for lights, fans, all plug points wherever necessary. ARUNA'S IS COMMITTED TO PRODUCE A PRODUCT THAT IS OPTIMAL, BEAUTIFUL AND ON TIME. THE ONLY WAY TO DO THIS IS TO RESPECT THE DELICATE, BUT ESSENTIAL INTERACTION OF DESIGN AND IMPLEMENTATION. One of our key goals as a company is to change the way real estate is envisioned, developed and sold. Transparency plays a key factor in fulfilling this need. Our users will always be empowered with information. A level of transparency that will be consistent throughout the entire construction process till actual handover.